What does a 420BizOp - (Serious Inquires Only) Business Opportunity Cost? 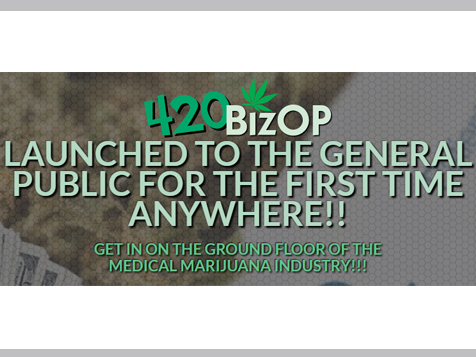 Get in on the ground floor of the medical marijuana industry! Serious inquires only & valid phone number required for us to contact you! If you don't answer the phone when we call please make sure you have a voicemail set up so we can leave you a message! THIS OPPORTUNITY WILL GIVE YOU THE “INSIDE TRACK” FOR ENTRY INTO THE MEDICAL MARIJUANA INDUSTRY IN YOUR AREA WITH AN ESTABLISHED COMPANY THAT IS DOING IT FOR OVER 7 YEARS AND IS THE LEADER IN THE INDUSTRY! 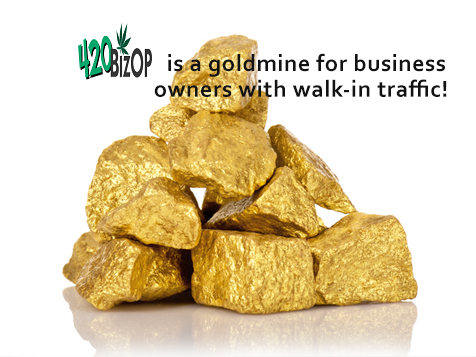 Goldmine for business owners with walk-in traffic business!! $2,995 to $50,000 positions available. 1-5 POSITIONS PER ZIP CODE! MULTIPLE positions available to those who qualify! MAIN distributorship positions available for EVERY state! You must have a valid phone number with a voicemail and a valid email address to qualify for this opportunity. Make sure your voicemail is not full. Fax numbers will be deleted. NO info will be sent by email UNTIL contact is made by phone! ALL others will be deleted! Complete website design and production! NO monthly or hosting fees! Customer service representatives to handle patrons. Technical support to handle patrons. NO retail space or employees required. Financial management of receivables, reports and accounting services. Daily detailed financial analysis via the Internet. Traffic driven to your site. Marketing assistance from our professional staff. 25-45% of the net sales of everyone that goes to your site! 25-45% for MAIN distributors of very sub under them! Lifetime residual income from your site. Contact us now to get started. You must provide a valid phone number for us to contact you!